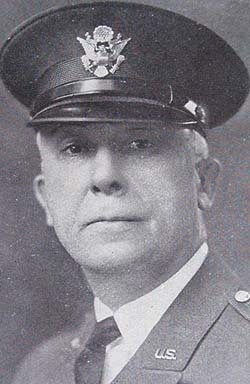 Edgar Jennings was the warden at the Auburn Prison from 1920 to 1930. During the riot of 1929, he was taken captive by the prisoners before the rescue by the New York State Police. 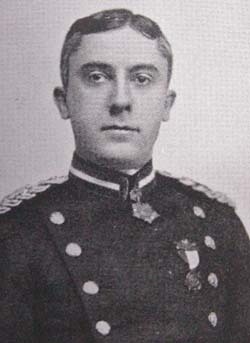 Edgar Jennings was also a General in the New York State 27th Infantry. The Jennings lot is located in the Cemetery's Mount Hope section. From "One Hundred and Fifty Years of Progress" by Harry Melone, 1929. Jennings, Edgar, Stillson, Brigadier-general, warden Auburn State Prison and senior member of firm E. S. & F. A. Jennings, art merchants, 4-6 Exchange Street. Born August 25, 1871, Auburn, NY son of William H. Jennings and Eva M. Alvord. Married Louis Elizabeth Robinson, Auburn, 1897. Educated Auburn grade and high schools. Appointed Auburn Police Commissioner 1914 to 1916. Appointed warden 1917, resigned this post to enter U. S. Army as colonel of 108th Regiment for WW1. Regiment mustered out March 31, 1919. Re-appointed warden Auburn Prison April 15, 1919. Office and residence: 135 State Street.